I wish I'd known about Zoë Ballering's review of THE MISSING GIRL while I was at AWP so I could have looked up BELLINGHAM REVIEW (a great magazine) at the book fair. This is so insightful that it takes my breath away. So I'll quote it all here. Jacqueline Doyle’s The Missing Girl opens with the above epigraph by Sherwood Anderson, reminding the reader that darkness is, in fact, where everything begins. In the series of shorts that make up Doyle’s collection, we are plunged into darkness again and again. Harm befalls young women with so little notice and so much ease: they are plucked off the side of the road, shot by their lovers, and ignored when they say their names. In short, Doyle’s protagonists go missing—an act of repetition that Doyle manages to portray in terms that are heartbreakingly unique. One of the tricks in The Missing Girl is its manipulation of perspective. The title story, for example, makes use of a second person point of view that twists, in the course of two pages, into the “you” you never wanted to be. The narrator sees a poster for a missing girl and seems to imagine her in sympathetic terms. Then sympathy twists into callousness, callousness into lust, lust into memory, and suddenly you—the narrator—are remembering a girl named Early Halliday whom you drove into the darkness and away from life. It’s a masterful deterioration that Doyle manages in the space of a few hundred words. Let’s hula, baby, he says, pushing you toward the door, one hand still under your elbow, the other gripping your waist… And now you answer his question. My name’s Lucy, you say. Lucy. But people are talking loud and howling with laughter and you’re not sure he even hears. Whereas the title story allows the narrator’s intentions to sharpen as the story progresses, “Hula” presents an accelerating blur. You—the narrator—drunk and possibly drugged, can see the bad thing coming, but you can’t find a way to change how the story ends. There’s always the risk in these types of stories that readers will partake in a form of literary rubbernecking—gaping at blood and guts as they pass by, unscathed and unchanged. Doyle circumvents this risk in two ways. First, her shifting first and second person points of view holds the reader close. Second, she insists on naming names. In “Hula,” Lucy announces herself; the story allows her to speak her name so that someone hears. And The Missing Girl, as a whole, is full of protagonists defiantly naming themselves: Eula Johnson, Early Halliday, Molly, Kelly, Nola. Perhaps this emanates from Doyle’s second epigraph, a quote from the National Center for Missing and Exploited Children. The quote reminds us that missing children are never forgotten. No name, insists Doyle, can ever truly be erased. ​So maybe it didn’t happen to me in exactly that way with exactly those boys on exactly that night. But things have happened to me, on nights like that, with boys like that. This character’s reflection, both wounded and confused, may serve as the keystone to the collection as a whole. Too often, violence against women is rendered as an act of nameless repetition. In beautiful yet economical prose, Doyle takes the haziness of “nights like that, with boys like that” and imbues each scene and story with horrifying specificity. Women receive names, wills, bodies, and desires, even as Doyle charts their absence. The result is hard to read, perhaps, but harder to put down. ZOË BALLERING is in the midst of completing her MFA at Western Washington University in Bellingham, Washington. She’s currently writing her thesis, a collection of short stories of speculative fiction dealing with themes of physical and emotional pain and how pain finds (or fails to find) expression through language. So pleased to see my nonfiction flash “Dark Hallway” in CLEAVER, a magazine I have long admired, which has work in this issue by Josh Denslow, Andrea Jarrell, and Tommy Dean, flash in recent issues from Kim Magowan, Cathy Ulrich, Madeline Anthes, and Jennifer Todhunter, and many more great writers in their archives. I’m a big fan of their senior flash editor Kathryn Kulpa as well (who recused herself from considering my submission, since we know each other, but went through some really fruitful edits with me after the piece was accepted). This is my second publication in CLEAVER, where I published “Early Spring Rainstorm” several years ago. A big thanks to Karen Rile and the editorial team! Leaving for the airport in an hour. Still not showered or dressed or fully packed. Getting excited about AWP. Our friend Sharon Dolin (a poet Steve and I have been close friends with since grad school at Cornell) is coming today to spend the night before we all leave for Portland. I've got some plans, some meetings lined up, what I'll read figured out (both readings require excerpting longer essays). Haven't heard from F(R)ICTION about the latest revision of "The Lunatics' Ball," which I think is probably bad news, but we'll see. I'm excited by Gabe Blackwell's response to the two Lunatics flash he accepted for THE COLLAGIST. He praised them as "fantastic" and said he loved them when he accepted them. When we went through edits, he said, "every time I read ["Dermagraphism"], I like it more. It reminds me of John Berger, and I love to be reminded of John Berger." I'm still over the moon about my acceptance there. The next issue will be out in a month. I love John Berger too. I've been so uneasy about my writing group steering me toward prosier, more accessible accounts of my nonfiction lunatics with memoir blended in. And their bias against "academic" writing. Can I do something lyric and academic, save the memoir bits for separate flash? BEST OF THE NET came out today, with a number of friends included. I'm really happy for them, but in true neurotic writer fashion, was also disappointed not to be invited to the party. I got several Pushcart nominations and Best Small Fictions nominations this year, but had to check to see what Best of the Net nominations I got. Turns out I didn't get any, so of course I couldn't get into the anthology. So I can be depressed about not getting any nominations instead of about not getting into the book. 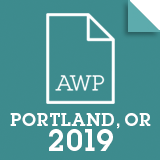 ​Looking forward to reading the BEST OF THE NET selections, and Amy Hempel's new book, and to buying a bunch of indie press books at AWP and to meeting friends there. And to the readings. Steve and I are in both of them (CATAMARAN LITERARY READER and BLACK LAWRENCE PRESS), a first, and actually reading our collaborative essay together in the THEY SAID reading. A very intense afternoon working on the edits from Gabe Blackwell at THE COLLAGIST (of course very useful and intelligent). I discovered that the website of archived primary materials for one of the flash is gone, and that a quotation from my other source may be a misattribution. So much easier when doing straight scholarship; a footnoted explanation will suffice. I'm glad to be teaching only one class this semester and to have time to drop everything and do this. So thrilled to have my micro “Because I Could Not Stop for Death” in THE JOURNAL OF COMPRESSED CREATIVE ARTS from Matter Press today. They’re excellent. They pay. They’ve published amazing flash writers like Steve Almond, James Claffey, Kim Chinquee, Kristina Marie Darling, Kathy Fish, Sherry Flick, Roxane Gay, Michael Martone, Pamela Painter, Ethel Rohan, Amber Sparks and a gazillion more. Big thanks to editor Randall Brown.